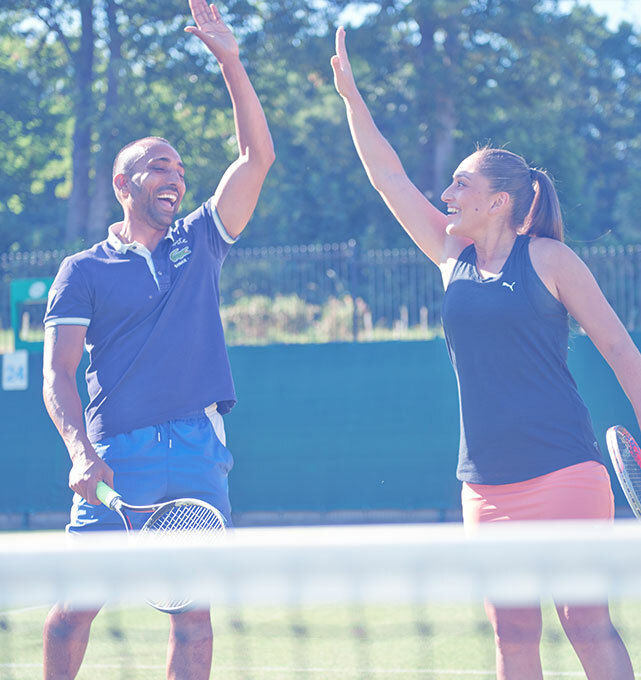 With a history dating back to the birth of lawn tennis, we’re a private members’ club offering tennis, squash, racketball facilities, including gym, exercise studio, heated indoor and outdoor pools (open all year round) all set in 14 acres of beautifully landscaped grounds, close to Birmingham city centre. Watch our video below to find out more. The Club is my sanctuary away from home. For me, it’s a place where I’m able to balance mental and physical well-being, along with fun and friendships. To book your personal tour of the Club, please complete the enquiry form and one of our Membership Team will be in touch to arrange a mutually convenient time and date. We will only use the information you provide in the form to contact you to arrange a tour and to tailor the tour for you. Alternatively, you could pick up the phone and speak to our Membership Sales Manager, Andrea Brown, in person. Our number is 0121 440 2492. We look forward to showing you our beautiful club. What are your general goals from membership at the club? What time of day do you expect to use the club? I joined the club just over a year ago, enrolled on a Give it a Go course and upgraded my Membership. A year later, I attend weekly lessons, have 1-1 coaching, regularly attend free social tennis on Wednesdays and Saturdays and regularly play with friends. I love it! What are your goals for joining? Join us and we’ll help you achieve your goals. Click on the tabs below to find out what’s on offer. Getting in shape doesn’t happen overnight. It takes time for a healthy lifestyle to take hold and the best way to ensure this happens is by developing good habits. Your two free personal training sessions, offered as part of your Lifestyle Orientation, will provide you with a starter programme in the gym, tailored to your own particular goals. As well as providing you with a fitness programme, our Lifestyle team will give you advice on healthy eating. If you want to stretch yourself by running a marathon or taking part in a triathlon, then think about signing up for some personal training. They will develop a training and nutrition pathway especially for you, monitor your progress and motivate you along the way. If you play tennis and squash and love to compete, why not sign up to one of our many leagues? If you’ve played for a team before, at university or at another club then let your coaches know at your orientation and we’ll get you involved in our team trials. We’re passionate about getting more people playing racket sport more often. We run Give it a Go courses in tennis, squash and racketball on a regular basis for complete beginners. These six week courses will have you serving and volleying and making new friends in no time at all! We provide the rackets and balls; all you need is the courage and confidence to make the first step on court. We guarantee you won’t look back! Perhaps you would like to learn to swim or develop your technique? We also offer swimming courses for adults and individual coaching. If you have a busy work and family life and are looking for some quiet ‘me’ time, there are plenty of opportunities here at the Club. A quiet swim in the pool, a Yoga class, five minutes in the steam room or sauna or just a quiet read of your favourite book in the lounge are just some of the ways to relax and rejuvenate. We offer a lively social events calendar from Book Club, Bridge and Quiz Night to Live Music evenings and Comedy nights. These events are a perfect way to meet new Members and broaden your horizons. And don’t forget our Club sessions for tennis and squash – friendly matches followed by drinks and chat in the Bar!